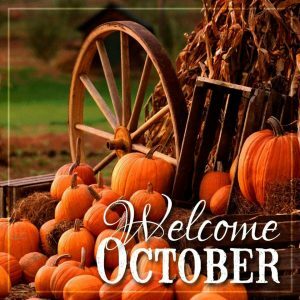 Celebrate Fall with me by falling into some extra blessings … Too Blessed to be Stressed blessings! 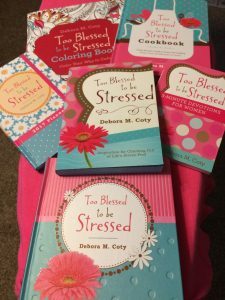 I’m gearing up for the Christmas release of my brand new 365-day devotional, Too Blessed to be Stressed: Inspiration for Every Day, so I’m in the mood to give away a bushel of baby blessings. 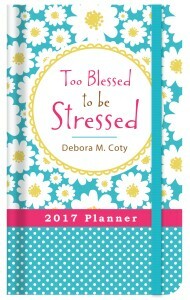 Not only will I be extremely grateful, I’ll drop your name in a drawing for your choice of the Baby Blessing (above) you don’t yet have PLUS a Too Blessed to Stressed 2017 Planner before there are no more to be found (remember, every year they sell out before December). Six winners will be drawn on Nov. 4th and posted right here. 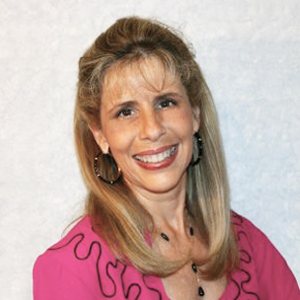 You simply respond by sending me your mailing address by PM or email and I’ll drop your prize in the mail. *Please note: If I haven’t heard from you within five days, I’ll draw a replacement winner, so be sure you’ve subscribed to my blog (top right on your screen) so you won’t miss out. More BIG NEWS: I have a peck (to go with the bushel of blessings!) 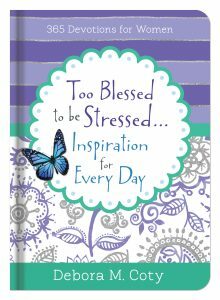 of fun surprises in the wor ks to accompany the debut of my brand new website in late October and even more surprises coming in celebration of the December release of Too Blessed to be Stressed: Inspiration for Every Day. You’re gonna love this simple, girlfriend-friendly, stress-free way to stay in Papa God’s Word every single day of 2017!